As we flow through the rhythm of life we must turn inward and connect to our body, mind, and spirit. Yoga allows us to create space from within so we can reach our fullest potential in life. I am honored to bring OMNI YOGA to the community of Los Osos. I truly believe that yoga can transform the way we live and see ourselves in the world. It’s a blessing to share my knowledge of yoga with each and every one of you and to be able to create a space where we can all grow into our own practice together yet individually. In my youth I studied Ballet and learned a deep awareness of physical movement and kinetic mobility. I began my yoga practice as a teenager and it has not only taken me on a path to physical health but has shown me a new way of living everyday life to its full capacity. Studying both the mind and body has tremendously strengthened my awareness on how thought patterns affect the nature of our physical well-being. 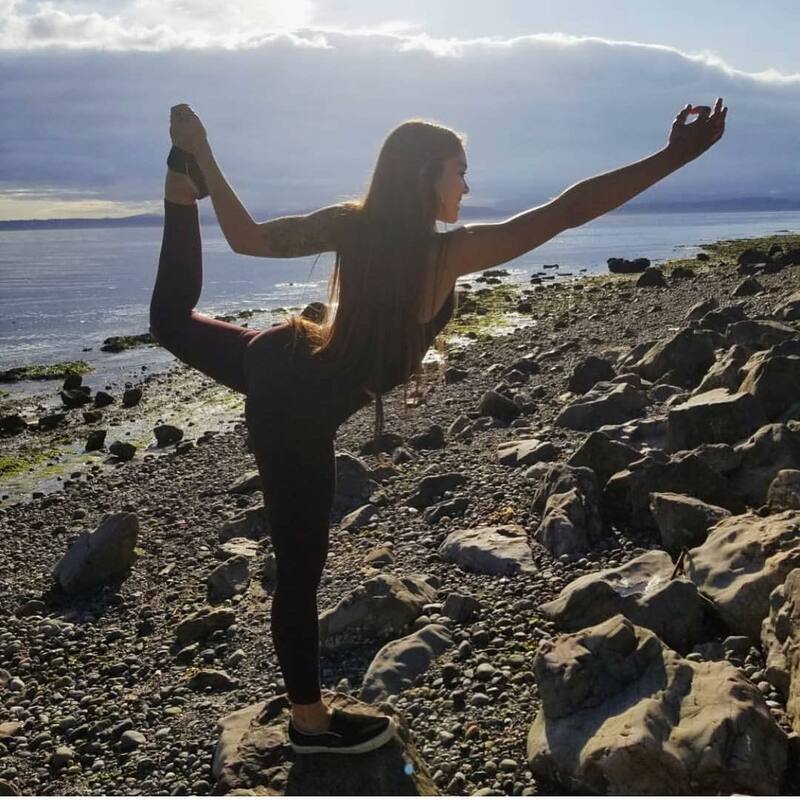 Bridget Salisbury is a certified yoga instructor from San Luis Obispo, California and she graduated from Antioch University with a BA in Psychology. Deeply empathic, intuitive, and compassionate, Jamie is a heart-centered healing arts practitioner who works with breathwork, sound healing, and Reiki to facilitate healing experiences for others. She was called to breathwork and sound healing while battling a complex physical illness which showed her the potential of true inner-healing. She experienced the profound healing power of the breath and has since been mentored by her incredibly gifted life coach and breathwork guide, Daniela Gil, adopting practices from various breathwork experts. 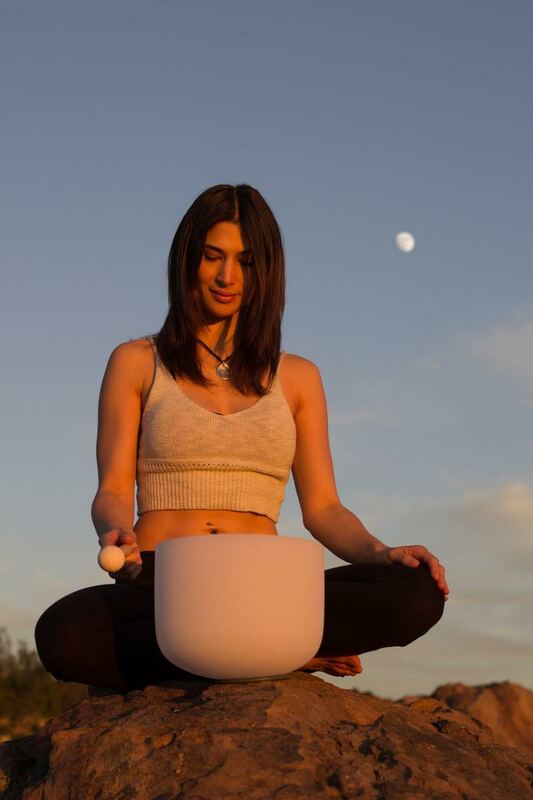 She got her sound healing certification from Tune Within, focusing on using crystal quartz bowls and other sacred ancient instruments to balance and align the chakras. She is dedicated to sharing the gift of pranayama breathwork and sound with a special focus on working with people healing complex physical illnesses and trauma. Jamie continues to travel up and down the coast of California holding space for private, group, and corporate healing sessions to enhance mindfulness and help clients discover their full potential. I became deeply interested in yoga at the age of 16. After years of struggling with depression/anxiety, I finally discovered something that allowed me to turn inward and see the light I hold within myself. Yoga is not only a dance with our physical bodies, but our emotional and spiritual bodies as well. Connecting breath, body, and movement is an incredible way to naturally slow down the mind and allow ourselves to connect and discover our authentic self. I received my training (200HR) in Costa Rica at Om Cashew Hill with the intention to deepen my personal practice. After leaving the beautiful jungle, I felt compelled to share what I learned and begin teaching. I attended Culinary School in San Francisco and am now working towards receiving my BA in Holistic Natural Health and Healing. One day, I will combine my love for food and wellness by opening my very own yoga studio with a healthy cafe attached. Until then, I will continue being both a teacher and a student. The methodological discipline her teachers instill into her personal practice greatly influence her teaching style. The importance of alignment and stability, and syncing the breath with body movement is underlined in all her classes. She’s so super grateful for her teachers and intends to be a lifetime student of this practice; always learning, constantly striving to improve herself. Her mission is to inspire others to realize their full potential; encouraging them to take their newfound confidence and clarity off the mat and into everyday life.